The Rioja wine region is located in northern Spain, on both sides of the River Ebro. 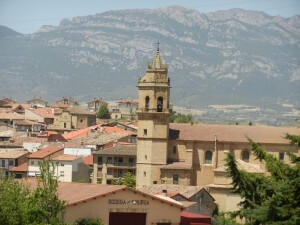 Rioja consists of 3 regions: Rioja Alta, Rioja Baja, and Rioja Alavesa. In Rioja Alavesa there is a significant influence of the Atlantic climate and the soils are chalky-clay situated in terraces and small plots. In Rioja Alta the climate is also mainly Atlantic, while the soils are chalky-clay, ferrous-clay or alluvial. 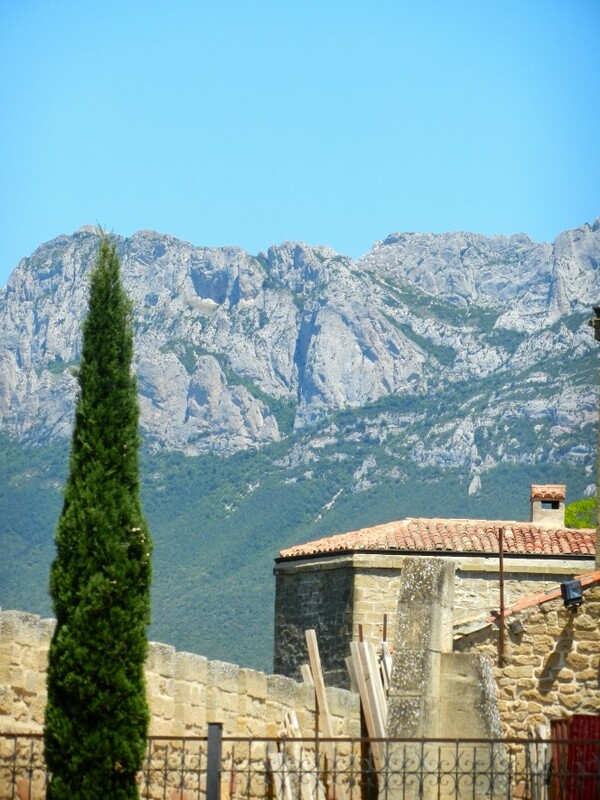 Rioja Baja has a drier, warmer climate, thanks to the Mediterranean influence. 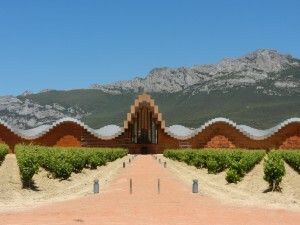 Rioja is a privileged region for growing grapes and making top-quality wines, with a unique personality and an exceptional aptitude for ageing. 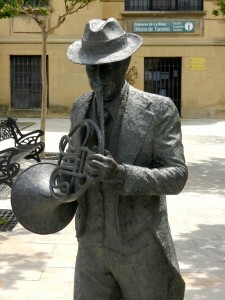 The Rioja wine region is located in northern Spain, on both sides of the River Ebro. Rioja has 63,593 hectares of vineyards that are divided between three provinces, La Rioja (43,885 ha), Alava (12,934 ha) and Navarre (6,774 ha). One hundred kilometres separate Haro, the westernmost town, from Alfaro, the easternmost. The valley has a maximum width of about 40 kilometres, covered in vineyards which occupy successive terraces to an altitude of about 700 metres above sea level. The whole area benefits from the confluence of two distinctly opposed climates -Atlantic and Mediterranean- which provide mild temperatures and an annual rainfall of slightly above 400 l/m2 -ideal conditions for growing grapes. The three areas all have distinct characteristics. In Rioja Alavesa there is a significant influence of the Atlantic climate and the soils are chalky-clay situated in terraces and small plots. In Rioja Alta the climate is also mainly Atlantic, while the soils are chalky-clay, ferrous-clay or alluvial. Rioja Baja has a drier, warmer climate, thanks to the Mediterranean influence and the soils are alluvial and ferrous-clay. This, together with the use of different grape varieties and growing practices, allows local winemakers to make a wide range of wines with a different personality, although always within the framework of a perfectly-recognisable common identity. The wine region’s annual production currently stands at 280 to 300 million litres, of which 90% is red, the rest being white and rosé. The experience of grape growers and wine makers has resulted in a selection of those grape varieties that best adapt to the region’s climate and soils, while producing wine of the highest quality. The primary goal behind this is to achieve greater competitiveness in white wines and to bring diversity to wine production while maintaining the wines’ identity and differentiation. It is the world’s most popular variety, equivalent to Cabernet for red wines, the most widely-grown grape for quality white wines across the world. Originally from Burgundy, it is also known as Morillon blanc, Beaunois and Weisser, although Chardonnay is by far the most international version. The vine is not very productive, with small- to medium-sized clusters, which produce yellow wines with green hues of outstanding finesse and aromatic intensity. Significant dry extract and low oxidation levels make this an ideal variety for barrel ageing. This entry was posted in Latest News, Travel, Wine Regions. Bookmark the permalink.